A Dartmouth company is trying strike a deal with HRM that would stop Styrofoam from piling up in landfills. 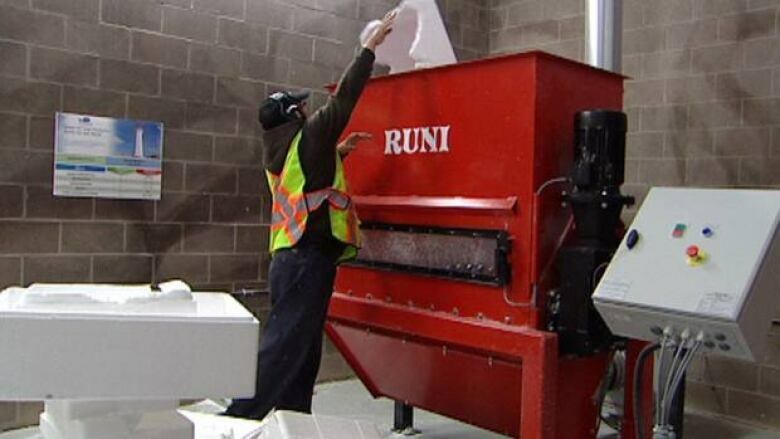 Truefoam recycles Styrofoam by crushing it up in a machine. The machine then pushes out compressed bars that are sold and eventually melted down to make other plastic products. Sytrofoam can take decades to disintegrate. Truefoam currently recycles Styrofoam that comes from private companies but it's looking to expand. Dave Ball, who works for the company, says they have the capability to process a large amount of the product. "To put that into context for you, 400 pounds an hour, we could essentially recycle every bit of Styro that goes to HRM landfills today." Gord Helm, the manager for Solid Waste Resources for HRM, said it is something the city will consider. "Obviously we don't want to put anything in the ground that we can avoid putting in the ground." But the city isn't about to rush into a deal. Many factors still need to be ironed out, including how to sort the Styrofoam from the garbage and how to get it to the company.